Going to the Dollar Tree for craft supplies is a favorite habit of mine. 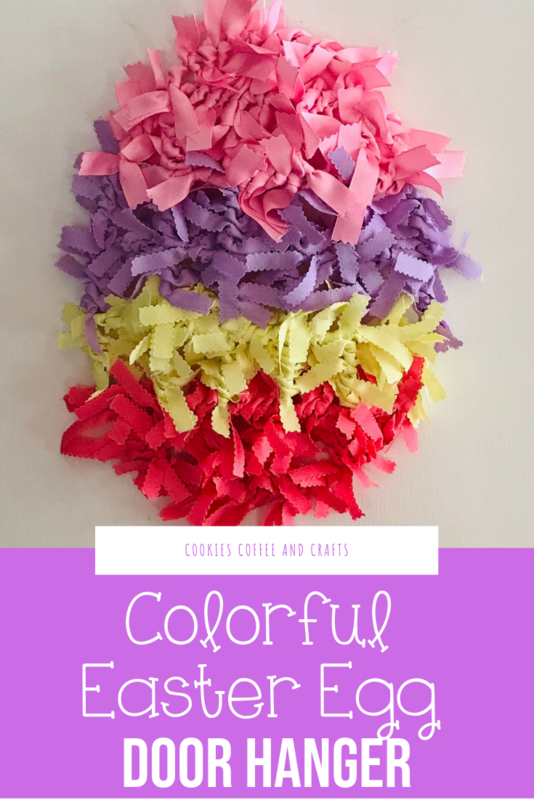 Today I am going to share how I turned a tinsel Easter egg decoration into a cute and colorful Easter Egg Decoration with ribbon all from the Dollar Tree. 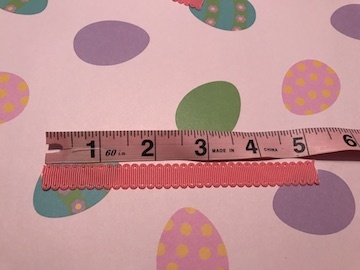 Remember the Dollar Tree for Easter Crafts, Supplies, and More! 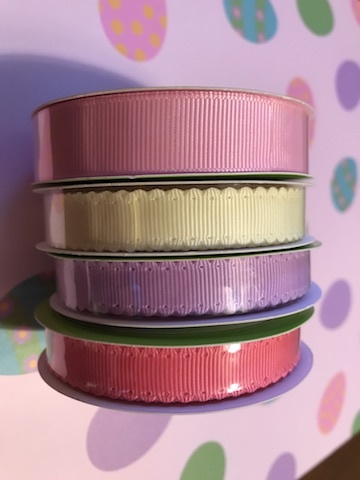 The Easter and spring ribbon is so pretty, I am in love with the colors. I am really happy to work with our sponsor, Dollar Tree today to share this project with Dollar Tree Easter Supplies. Below are some affiliate links and I may make a commission for purchases made through the following links. Discover how I turned a turned a tinsel tree from the Dollar Tree into a Poinsettia Tree for Christmas. 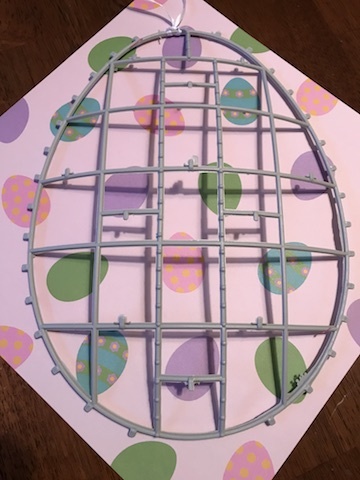 To get started I made lines with a Sharpie on the back of the egg where the colors were already divided. Then I unraveled the tinsel off of the egg. It unwraps really nicely and I will keep the tinsel in my craft stash for another project. Now you have a perfect egg shape to decorate. 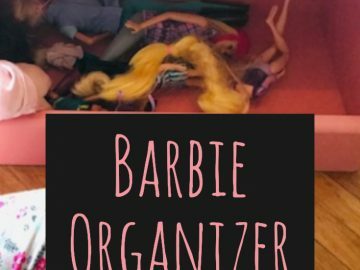 The next step is to cut all your ribbon anywhere between 4-5 inches. Cut a sample piece and tie it on and see how you like the look of it. 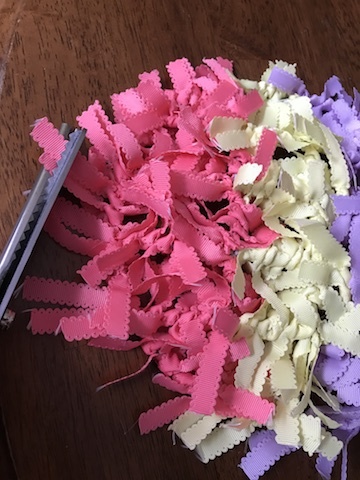 You need 2 rolls of the pink grosgrain ribbon and 3 rolls of each color of the floral garden scalloped ribbon. 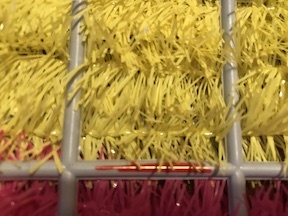 Then start tying on the ribbon in the color order you would like. 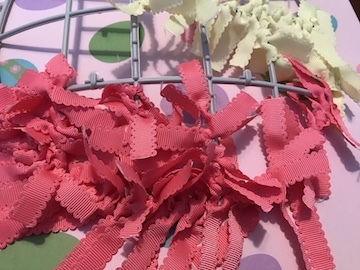 When I finished tying on all the ribbon, I took the pinking shears and cut all the ribbon on the outside of the egg and some throughout the egg. 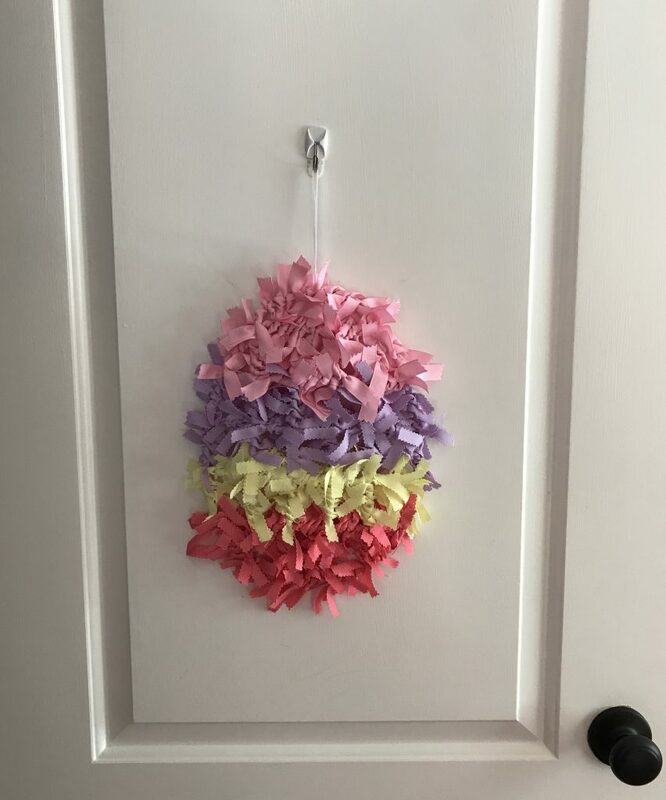 I am really excited to hang up my cute & colorful Easter Egg decoration. The colors just make me smile and think of spring and I love ribbon. I think this would also look very pretty on a table or bookcase also.